Every month, we share a snapshot of Shakespeare in performance around America. What plays are onstage this month? We check in with our theater partners Alabama Shakespeare Festival, The Atlanta Shakespeare Company at the Shakespeare Tavern Playhouse, Brooklyn Academy of Music, Chicago Shakespeare Theater, and Folger Theatre. Brooklyn Academy of Music in New York presents the Royal Shakespeare Company production of King Lear (Apr 7-29), directed by Gregory Doran and starring Antony Sher. 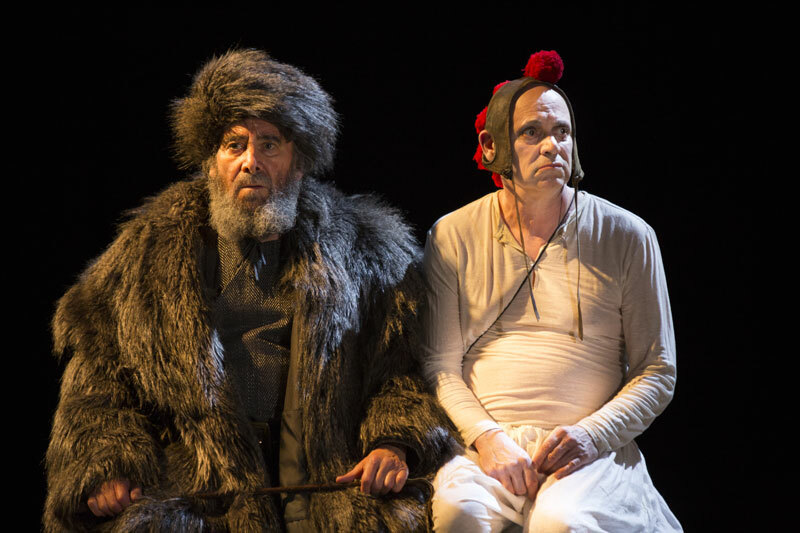 ⇒ Related: Listen to an interview with Antony Sher on the Shakespeare Unlimited podcast. ⇒ Related: Read an excerpt from Year of the Mad King: The Lear Diaries by Antony Sher. Ian Merrill Peakes is Macbeth and Chaon Cross is Lady Macbeth in Chicago Shakespeare Theater’s production of Macbeth, in The Yard at Chicago Shakespeare, April 25–June 24, 2018. Photo by Jeff Sciortino. 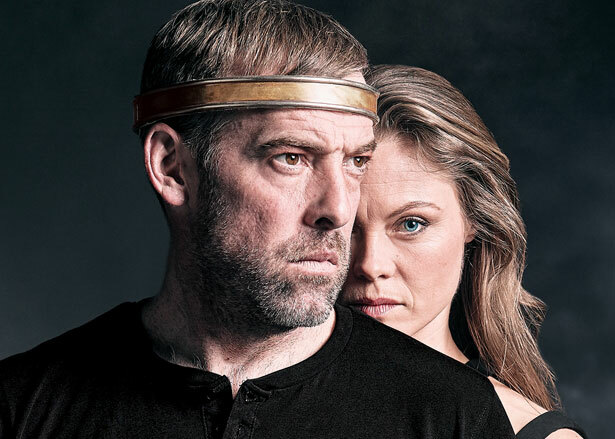 Chicago Shakespeare Theater presents Macbeth (Apr 25–Jun 24), directed by Aaron Posner and Teller (of Penn & Teller). The magic-infused production stars Ian Merrill Peakes as the title character, reprising the role he played in the Posner-Teller production of Macbeth at Folger Theatre in 2008. Alabama Shakespeare Festival presents Twelfth Night (Apr 20–May 5). 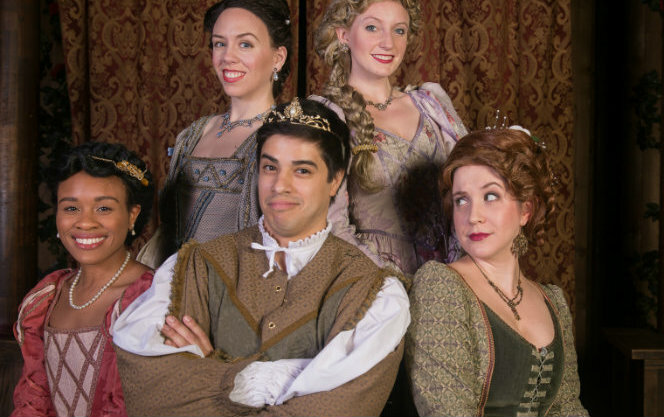 Tatyanna Arrington, Amanda Lindsey, Sarah Newby Halicks, Kelly Criss, and Chris Hecke in Love’s Labor’s Lost at the Shakespeare Tavern. The Atlanta Shakespeare Company at the Shakespeare Tavern presents Love’s Labor’s Lost (Mar 31–Apr 22). Folger Theatre presents The Winter’s Tale (Mar 13–Apr 22). Alabama Shakespeare Festival, The Atlanta Shakespeare Company at the Shakespeare Tavern Playhouse, Brooklyn Academy of Music, Chicago Shakespeare Theater, Folger Theatre, Seattle Shakespeare Company, and Theatre for a New Audience are theater partners of the Folger Shakespeare Library.